Finding storage solutions in your bathroom can always be a challenge. Generally, bathrooms are one of the smallest rooms of a house, but there are quite a few things you need to keep there. If the clutter in your bathroom is getting out of hand, it could be time to implement a few of our creative storage solutions to get things in order. In general, most bathrooms will have empty areas where small storage shelves can be installed. Whether it’s above your sink, your toilet, or even in your shower, getting the most out of limited space is key to decluttering your bathroom. Make sure to double or triple up on shelves when possible. The more height you can use, the more efficient this storage solution will be. Instead of cramming items on the edge of your tub, consider installing a second rod near the wall. This storage solution will allow you to hang things like your loofah and small baskets out of the way. Simply hang S-hooks from the rod and all of a sudden you will have cleaned up the edge of your tub. Small plastic bins can be an excellent storage solution underneath your sink. Not only will you easily be able to organize all the items you have piled in the cabinet, but you can even create space by once again adding storage height. Most toilets have empty wall space above them. 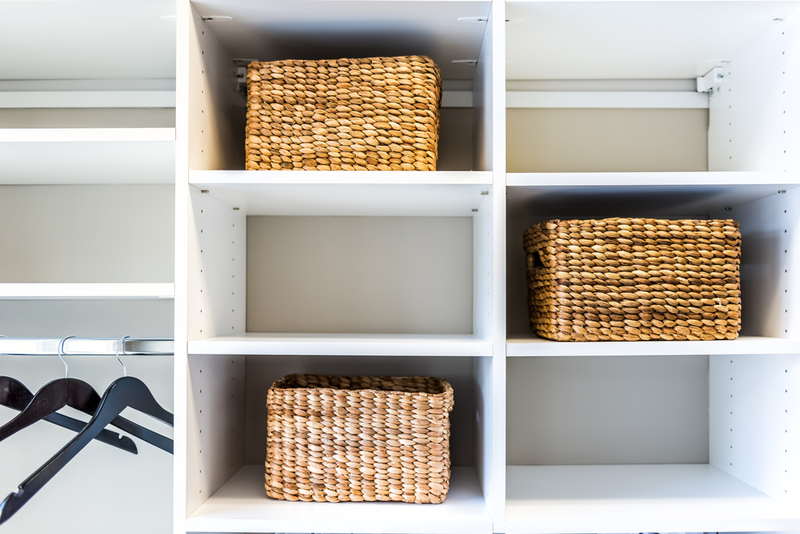 Adding simple shelving or wicker baskets will provide you an excellent method for storing some of your less attractive bathroom items (think toilet paper or hygiene products). This storage solution will even allow you decorate your bathroom in ways you previously could not. A shelf over the toilet is an excellent place to safely keep candles, for instance. There is really no need to keep fifteen towels in your bathroom unless you just want to avoid laundry duty. Instead, keep things like seasonal decoration towels and those extra towels you received as a wedding gift in a storage unit. You’ll free up major space in your bathroom without having to part with your items. In Need of a Storage Unit? Affordable Family Storage offers state-of-the-art climate-controlled storage units that are ideal for any storage need. You can rest assured that your items will remain safe and secure thanks to our 24-hour security. If you are interested in renting a storage unit, contact us today at 515-325-0248.